The Cedars accommodates 44 residents, the majority in single person accommodation. A passenger lift and stair lift assists access between floors. 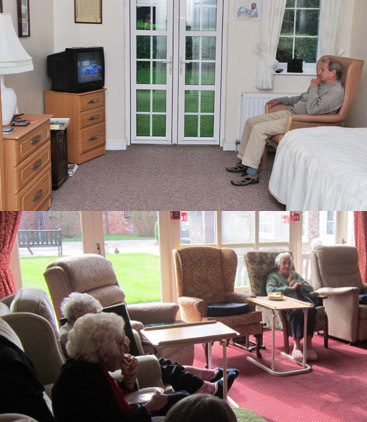 At the Cedars we appreciate that a resident's room is a personal and private place and must always be respected as such - we are always keen to stress that first and foremost this is the home of the resident. Accordingly, and to enhance privacy, there are special locks on bedroom doors that can easily be operated by most residents. If a resident wishes to bring items of their own furniture, for example a television set, a favourite chair etc this can easily be arranged. The Cedars does have insurance cover for residents' items but this is only for a modest sum. Therefore the home recommends that a resident takes out their own personal insurance cover to suit their needs.